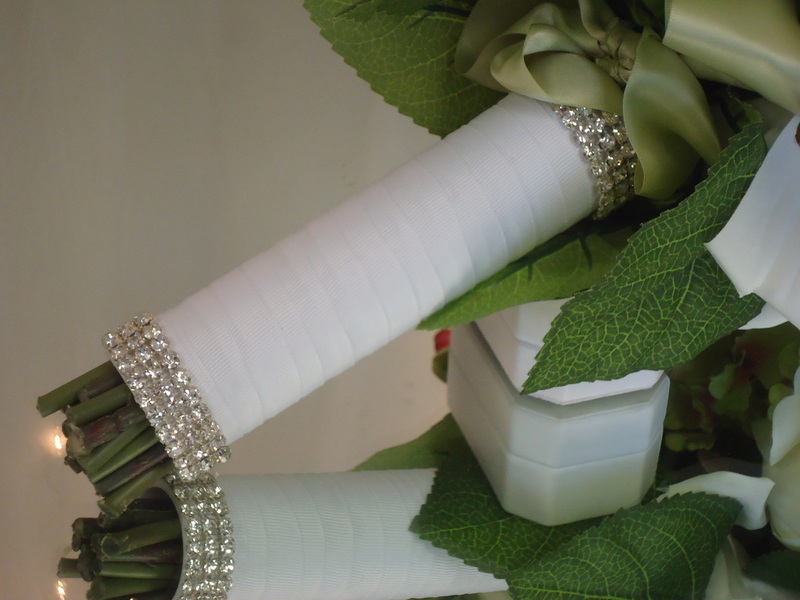 Make them Talk with our beautiful Fully Covered Bridal Bouquet Holder. This holder measuring 6" long and 1.5" wide. 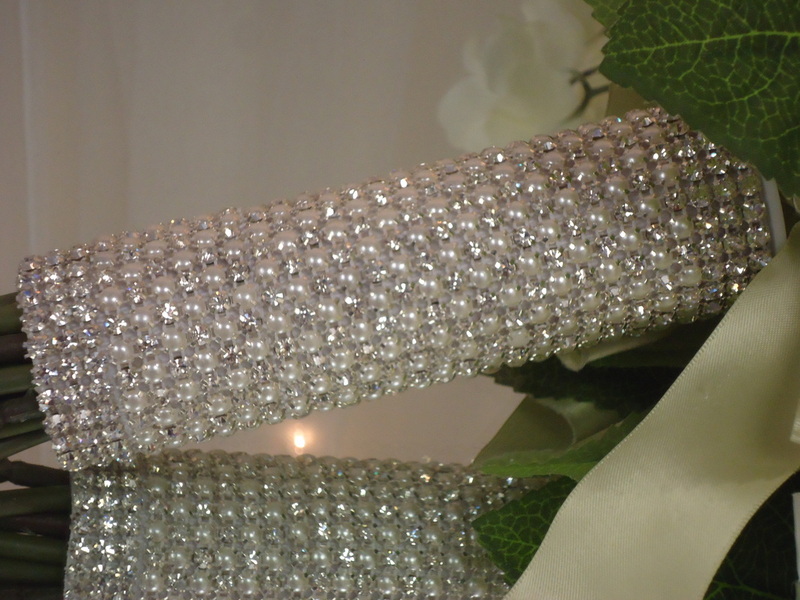 This holder is fully covered with Crystals and Pearls. The holder Measure 6" long and 1.5" wide. This Crystal Gold holder is just the tough of gold that your looking for. This holder measuring 6" long and 1.5" wide. The holder come partially covered with 4 rows of Gold colored crystals on each end of the holder and you choose the ribbon color. Ribbon colors are White, Ivory or Black. This gorgeous set will sure to make a bold statement! 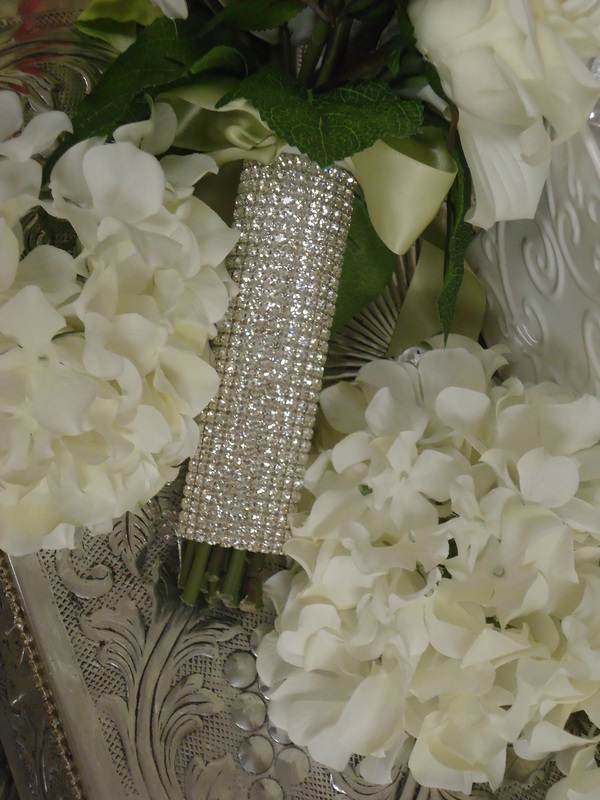 You will receive one 4" cake topper fully decorated with a sparkling crystals fully covered bouquet holder. The holder measuring 6" long and 1.5" wide. This Holder is defenitely a show stopper. 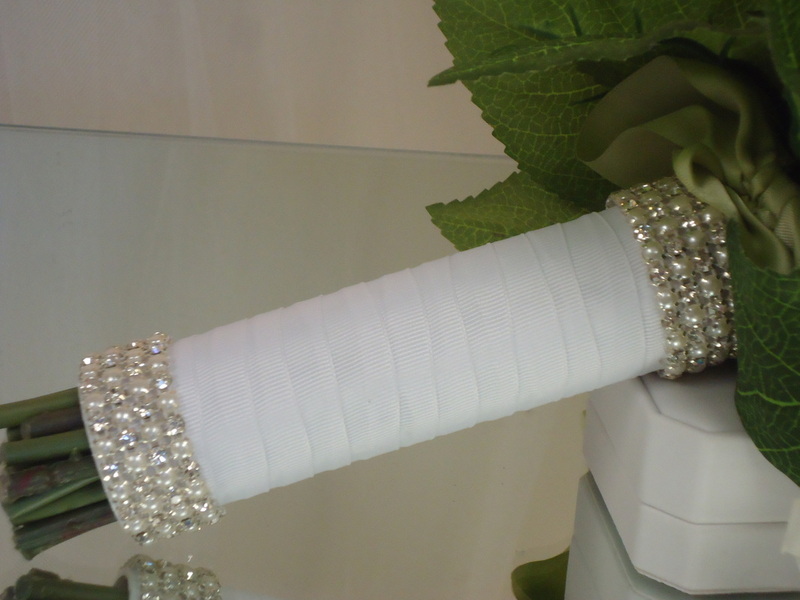 Crystal Bridal Bouquet Holder with Color Crystal Ribbon. This lovely Crystal Bouquet holder measuring 6" long and 1.5" wide. 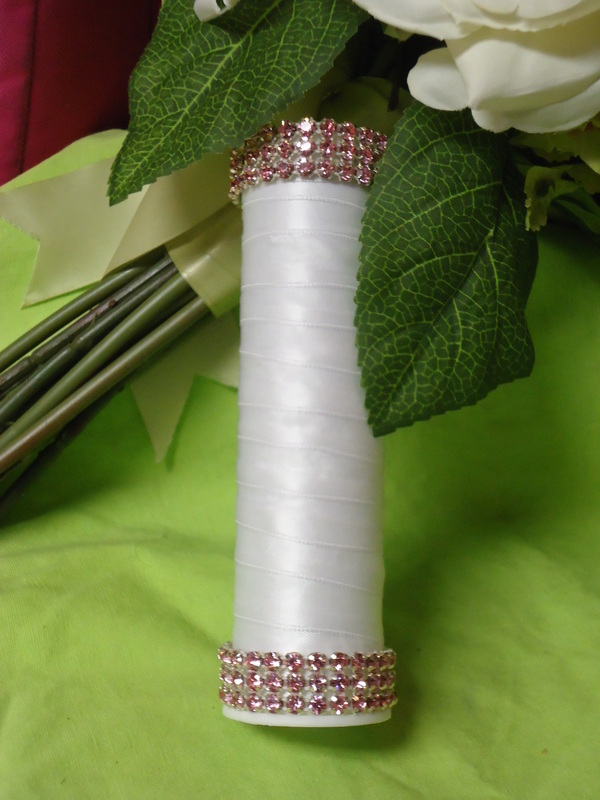 The holder come in 3 Satin Ribbon Colors and 7 Crystal Ribbon Colors for you to chose from. Peridot "Light Green", Rose "Pink", Siam "Red" Aquamarine, Gold and Sapphire "Blue" with Black Backing. Clear & White Satin Pearls Peridot "Light Green" Rose "Pink" Light Siam "Red" Aquamarine Gold Sapphire "Blue"